Thinking about death can seem morbid, but it’s important to ensure you have a plan for your money beyond your life. 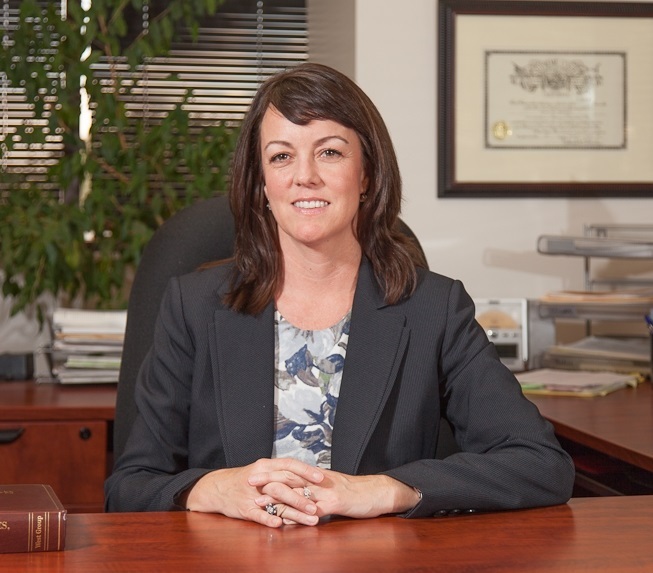 We recently sat down with Tamsen R. Reinheimer of Mortensen & Reinheimer, PC to talk about estate planning basics, frequently asked questions, and ways to get started on your legal obligations today. Chris: What is an estate plan and why is it important to have one? Tamsen: An estate plan is advanced management of your estate and assets, both during your life and after your death. There are two main types: a will is your written wishes upon your death, and a living trust is set up while you are living and is put to work right away. Even if you don’t have a grand estate or high net worth, it is still crucial to set up an estate plan to avoid government involvement after your passing and to avoid probate, an expensive and time-consuming process. Without a plan in place, your estate will be designated in probate court and like any other government process, this can at least a year and cost attorney fees, court costs, and executor fees. Plus, probate hearings are public processes so anyone can look at your estate and solicit those receiving benefits. Setting up an estate plan now can save you time, money, and protect your privacy. Chris: What is the number one reason why people might get stuck or don’t start on their estate plan? Tamsen: Honestly, a lot of my clients think setting up an estate plan is harder than it is! Depending on the professionals you work with, it can be straightforward and less complex than a lot of people think. Chris: What is the cost for setting up an estate plan? Tamsen: The cost can vary, but I would say that the cost of a living trust can range from $500 to $3,000, depending on the complexity of your needs. Just like any other service professional, though, I would recommend focusing less on cost and more on the relationship between you and your attorney. This is going to be a long-term relationship for you and your family and it is beneficial to work with someone you get along with. In terms of service, the saying “you get what you pay for” rings very true with estate planners and attorneys. Chris: Can I do it myself online? Tamsen: There are a variety of online programs and software that allow you to set up an estate plan online, and these tools can work for individuals who are diligent enough to manage their own plans. One of the keys of setting up a living trust, though, is that you must fund it with your assets so going in and making these changes regularly might be too much maintenance for many. While online tools might work for someone with very basic planning needs, I would generally recommend working with a professional to assure that all parts of your plan are being addressed. Another benefit of our services is that we work in coordination with your other professionals, such as financial advisors and CPAs, to make sure everything is being taken care of for you. These alliances allow us to provide a higher level or service and diligent care. Chris: How often should I look at or reevaluate my estate plan? Tamsen: The answer will depend on your age, assets, and planning needs, but a good rule of thumb is to check on your plan at least every seven years. The meat of an estate plan are your assets, so if you inherited a large amount of money, bought a new home, or grew your family you will likely have to make adjustments. Chris: Who should my successor trustee(s) be for my living trust? How organized is this person? Can they be trusted with your assets? How well do they get along with other members of your family (siblings, etc.)? Should the responsibilities be split between multiple people? If you are stumped, you may want to consider appointing a Power of Attorney or independent third party to manage your plan. Chris: What documents do I need to gather before meeting with my attorney about my estate plan? Tamsen: When I start working with clients, I always start with some basic forms with information such as beneficiary designations and assets in the trust. You will also want to prepare any other financial documents, such as a financial plan and insurance coverage. We’re happy to loop in your financial planner and this makes the paperwork process much easier. Chris: When should I get started on my estate plan? Tamsen: Simply put, now! If you are a young professional just starting to get your footing with financial and legal planning, you can start by filling out your California Advance Health Care Directive, which lays out what you would like your family to do if medical care is needed and you can’t take care of it yourself (being on a ventilator, for example). As your career and investments grow and you get closer to retiring, you can add assets to your estate plan, start more complex planning needs, and lay out your will and living trust wishes. Tamsen has significant experience in all aspects of estate planning and probate. She helps clients plan their estates with revocable and irrevocable trusts, powers of attorney, property agreements, and other planning strategies. If you have questions about your investments or adjusting your portfolio, feel free to reach out at 949.748.8258 or visit our website at www.LiangQuinleyWM.com . We are always happy to help! Disclosures: This article is provided for informational purposes only. These are not official recommendations for your situation. Please call for an appointment to get specific / customized advice for your situation. Tamsen Reinheimer is not affiliated with LPL Financial or Liang & Quinley Wealth Management.